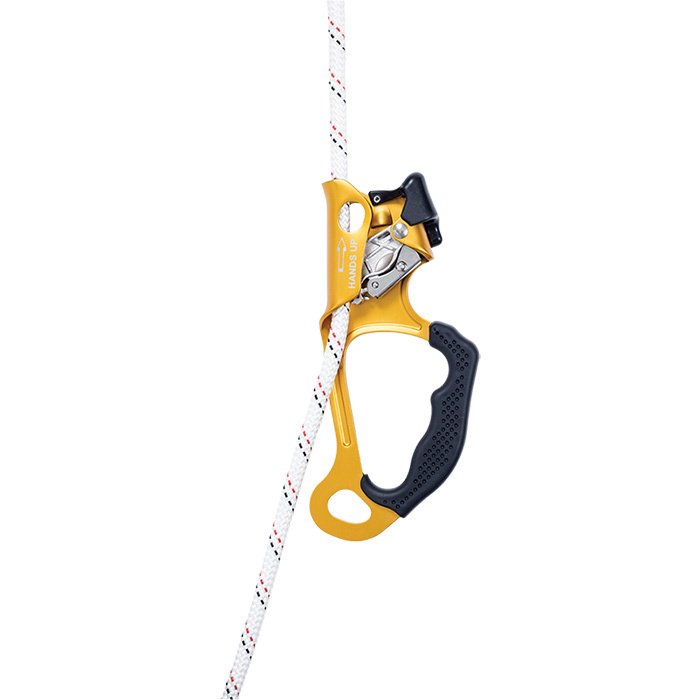 Handled ascender with ergonomic design to aid rope ascents with one or two hands. Can be used to compliment the HOLD UP chest ascender or any other ascender for rope ascents. Large lower attachment hole easily accommodates the connector for the AIR STEP foot loop. The ascenders shape allows it to be held with two hands when ascending rope: one on the side beneath the trigger and one above it. The handle is reinforced to improve ergonomics and comfort.